My name is Ken Ballinger and I am an experienced sales and marketing professional and a freelance web designer. 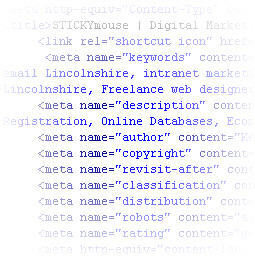 I provide a range of web services, which include top quality web design and extensive internet E-marketing services. Based east of Lincoln, it is easy to provide a one-to-one service throughout Lincolnshire, whether you are a corporation, small business, individual, or non-profit making organization. I'm available to design, redesign or develop your business website. Please explore this site to find out what is on offer and view the full range of services. There is a small portfolio of web sites, plus a price guide. If you like what you see, then call or email me to discuss your requirements. I generally offer a free initial consultation, where we can discuss your requirements in some detail.